I vividly remember the sheets on my bed when I was growing up. They were soft, but had a sort of crispness to them and were cool to the touch when I laid my head on my pillow. One set had small light pink flowers with light green leaves. Another set had dainty yellow and peach flowers. Today, they are called "vintage," and I now know that crispness came from the cotton/polyester blend they were made from. When I learned of people making quilts from vintage sheets, I knew I *HAD* to make my own! I called my mom to see if she still had the sheets from thirty+ years ago. The answer: "yes, but..." Turns out, my dad has been using them as painting drop cloths for years! 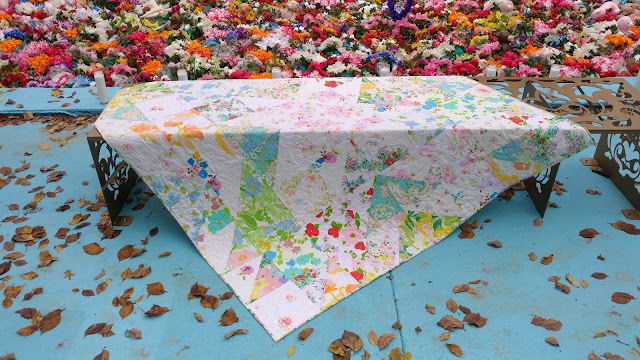 I began watching for people selling vintage sheets online, and my patience led to me purchasing a gigantic box (with exorbitant shipping) from a woman in California. I bought about twenty different sheets in the lot. Then like often happens, I just hoarded it and the fabric waited for it's time in the limelight. 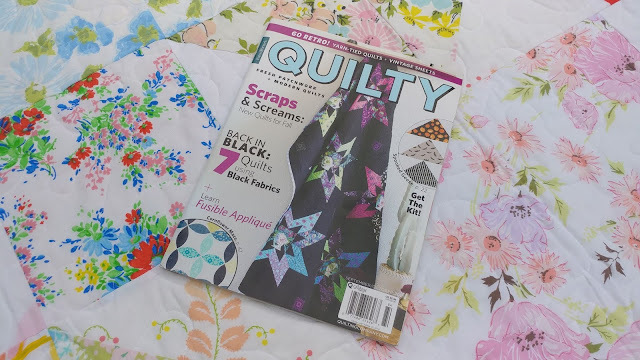 When Quilty magazine was looking for ideas for it's "Material Difference" column (a feature in the magazine that uses fabrics and textiles other than quilting cotton), I knew it was time for the vintage sheets to get out of the box. Using my Electric Quilt software, I chose the traditional quilt block "Odd Fellows Chain," and enlarged it to make the 64" square quilt. 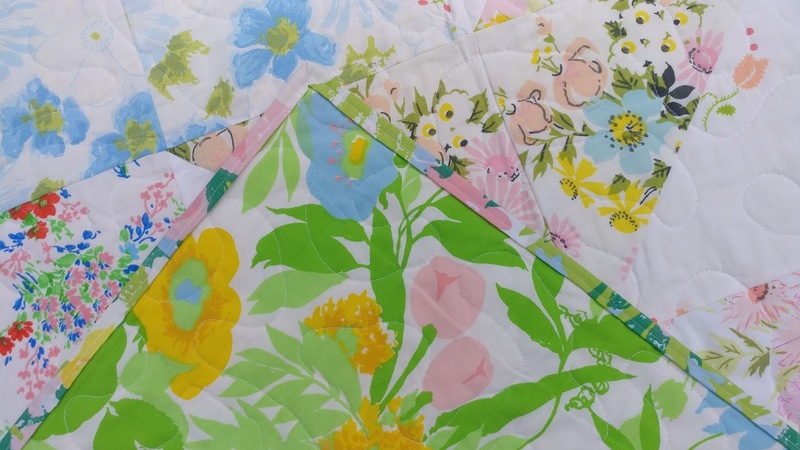 The vintage sheets I used are all pastel-ish florals. They all have a similar color value to them, so the quilt design is quite subtle. The focus is primarily on the soft florals of the sheets. I even used a vintage sheet for the back and binding! I used 50wt Aurifil thread #2021 Natural White for the piecing and quilting. The quilting is a large meander/stipple that I did on my domestic Juki sewing machine. The batting is Warm & Natural. 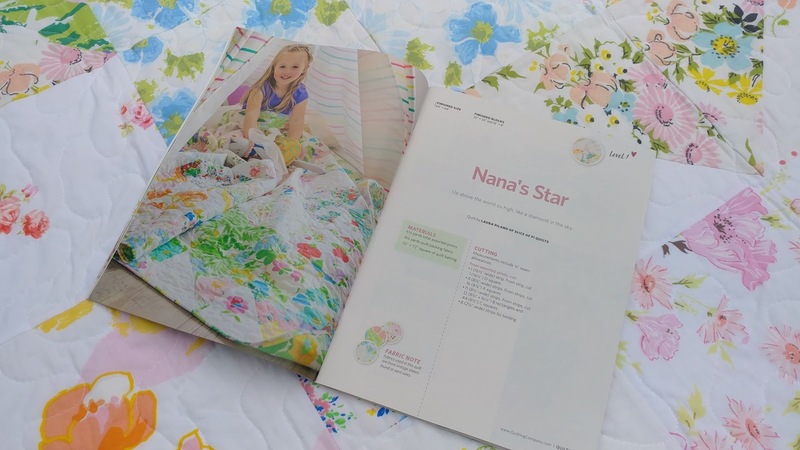 I love snuggling up with this quilt! The feel of the fabric takes me right back to my childhood! And if you're looking for vintage sheets to make your own version, I have a limited amount of bundles of what I have leftover in my Etsy shop! There are fat quarter bundles, scrap packs, and even whole sheets for quilt backs! 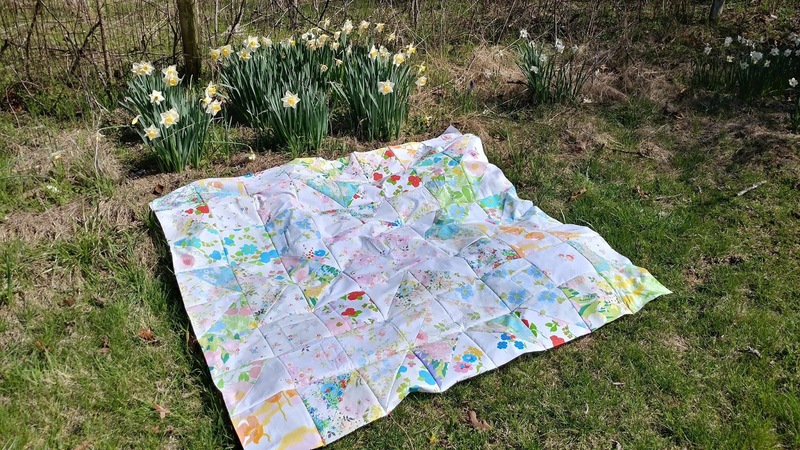 Have you ever made a quilt using vintage sheets? Be sure to let me know if you make a "Nana's Star" quilt! At least your childhood sheets are still being put to good use! 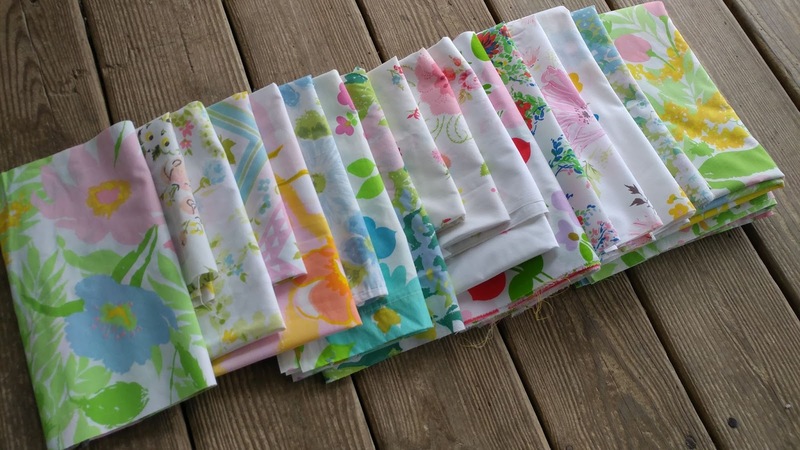 I have used sheets as backings and I like to take apart crib sheets to create a matching quilt for a baby's room sometimes, too. 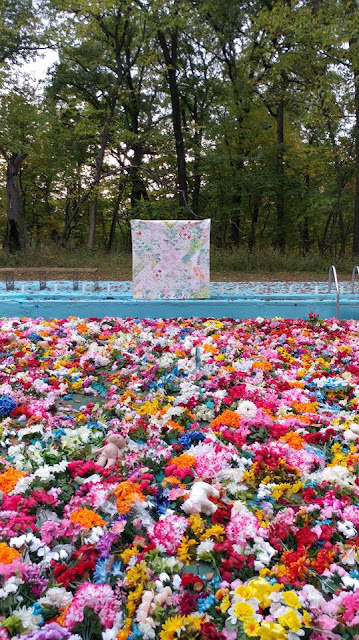 This is very soft and sweet and I am really intrigued by the photo with all the flowers in a swimming pool (???) in front of the quilt! 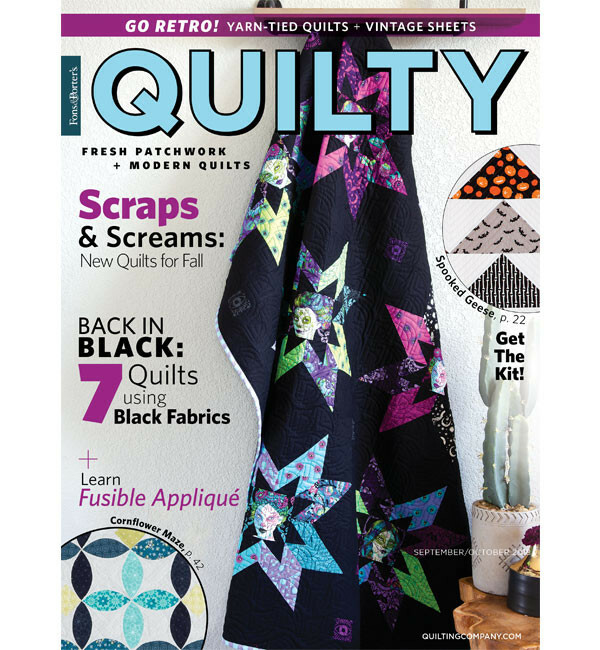 What a fun quilt and congrats on having 2 quilts in one magazine! I really love the idea of the vintage sheet quilt and I know what you mean about remembering them vividly and this is a great way to feel like you have them again! 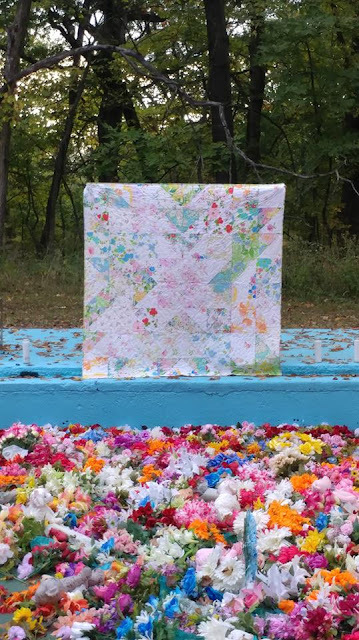 That art installation is perfect for this quilt - a great photo shoot. Great idea - wish I'd known about this when clearing out my mom's house! Great quilt and post!! I enjoyed reading your story. I marvel at your ability to get rid of the excess sheets. I'd probably stash the rest and wait for inspiration to strike again instead of clearing them out and getting onto other things. I can just imagine how wonderfully soft that quilt must be. 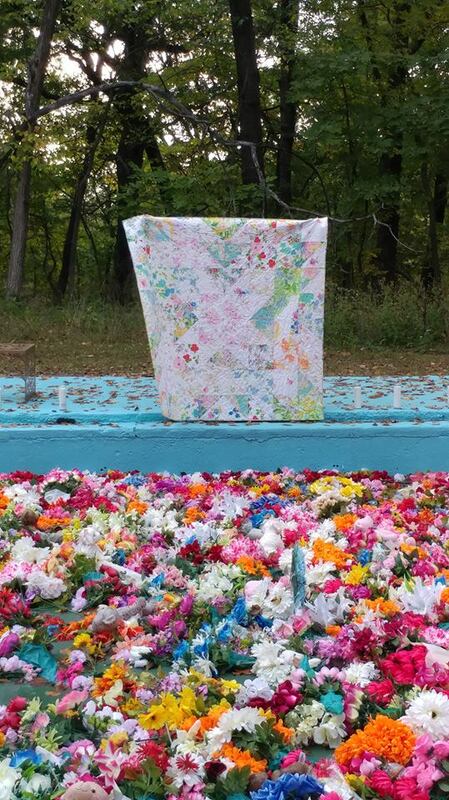 I did use a sheet recently to back a quilt made from upcycled Tyvek race bibs. Needless to say, the back is much softer than the front on that one. Thanks for linking up to What I Made Monday! Lovely quilt! That design is so subtle but very pretty. Sorry to hear about the magazine, but congratulations on getting two quilts in one issue! Thanks for linking up to Wednesday Wait Loss. You don't want to ruin the sheets you just bought!Given the numerous types of bedding set packages, customers are confused on what they should buy. silk bed sheets Satin weaves make sheets softer because threads are weaved loosely. This is so fun! Love the subtle design and the fact that there is so much meaning behind this quilt!